The June 19, 2013 auction at Christie’s had a couple of major museum quality objects, such as the Baga snake on the front cover, but it also has a wide range of interesting and good works that carried very reasonable estimates. 79 of the 132 objects (or 60 %) were sold. With a sale total (including buyer’s premium) of € 4,723.755,- for the 79 sold lots, it equalled Sotheby’s with a total of € 3,475.050,- for 56 lots with the average price/lot (ca. € 60K). Seen the intensified competition between the two auction houses, a praiseworthy result – but not a success. In the assemblage of the pure forms seen on the Bartos Senufo bird – the oval in high relief upon a square – surmounted by the curved, tapering head offers the essential spirit of the gliding bird. It is clear in this sculpture the inspiration of modern artists, like Brancusi or Jean Arp, in the realization of many of their sculptures. Clearly appealing to their sophisticated feeling for line and form, the Senufo bird held a prominent place for many years in the Bartos’s collection. In the early 1960’s we see it near Miro’s Le Port (1945) which they acquired from Pierre Matisse and juxtaposed to Arp’s polished bronze (x) tbc. Later, the Senufo bird could be found prominently in their foyer, next to Noguchi’s Untitled (1968) in stone and wood – always the first piece they saw when they entered their home. The majority of exceptional examples among these sculptures, the Bartos serpent among them, were collected by Hélène and Henri Kamer in the 1950s, and are now held in the greatest museums in the world. Among the eight snakes collected by the Kamers are: one belonging to the Musée du Quai Branly, now exhibited in the Pavillon des Sessions (Louvre, Paris, 71.1989.49.1), it was given to the museum by Jacques Lazard under Hélène (Kamer) Leloup’s instigation; another one from the Menil Collection in Houston (V9009), two other examples from the Metropolitan Museum of New York (1978.206.101 and 1978.412.339) formerly in the Rockefeller collection, another snake sold by Leloup to the American director, John Huston, and finally, the one formerly part of the Pierre Matisse collection, now in a private collection (see Sotheby’s, 16 May 2008, lot 58). For other similar snakes, see: the Geneva Barbier-Mueller Museum figure; the Cleveland Museum of Art example (1960.37) published in Robbins and Nooter (1989 fig.247); and the Rietberg Museum figure in Zurich, acquired from Emil Storrer. Hélène Leloup recently recalled the specific circumstances under which she collected the Bartos serpent: When she arrived in Guinea in 1957, she and Henri Kamer settled in Boke. Over the course of 10 days she visited the Baga and Nalu territories. Searching for snakes. The Bartos snake was found toward the end of 1957 in a Guinea village then referred to as Victoria, today Kanfarandé. At the time, because it is situated at the mouth of the Rio Nuez River, this village had different names depending of the ethnical origin of the speakers. At low tide, she went via canoe up the river, which was bordered by mangroves, and she could see frightened crocodiles were escaping and dashing into the water. The return was very dangerous as the tide was high, and the waves became stronger causing the canoe to heave to and fro as it was very heavy with passengers – both objects and people (Leloup, personal communication, Paris, March 27, 2013). A second private collection offered in this sale, from the American performer Andy Williams, didn’t bring as much suprises. 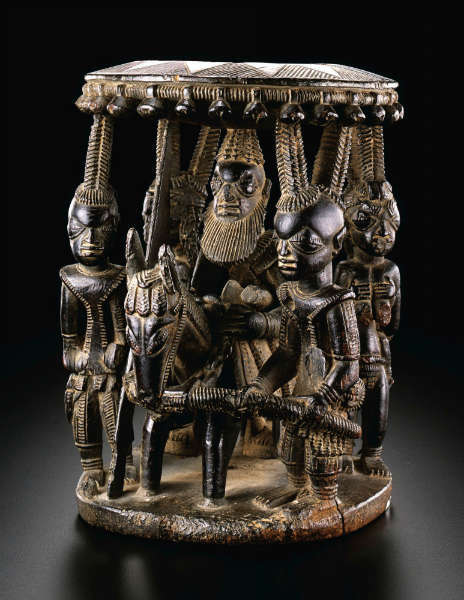 The Igbo couple for example was sold for half the estimate (€ 47K) – probably due to its post-1920 creation date. 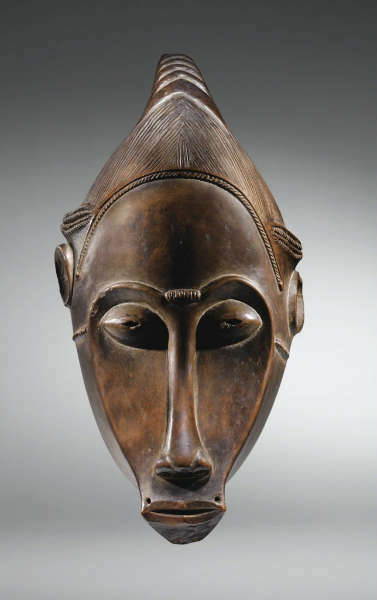 From the collection of the Art Institute of Chicago a Baga headdress (lot 61), estimated at € 400-800K, failed to sell. Both objects illustrate that the dedication of several pages in the auction catalogue to one specific lot (eight for the Baga!) doesn’t always pay off. The six pages praising the Epstein Dogon figure (lot 93, est. € 300-500K) also didn’t help. Two last important objects that remained unsold were the Bahan royal commemorative group (lot 122, est. 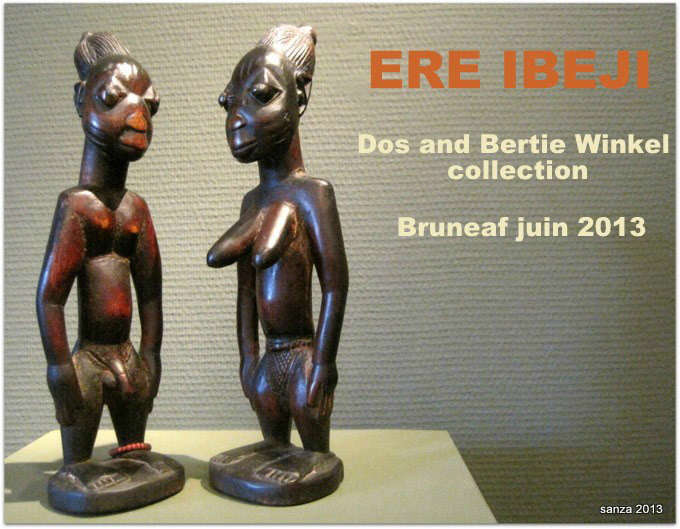 € 250-350K) and the Ndengse figure (lot 127, est. € 150-250K). For me, this indicates the current markets concentration on esthetics rather than history and provenance. This entry was posted in Auctions and tagged Dogon, Senufo on June 30, 2013 by admin. An interesting article by BBC’s Naveena Kottoor can be read here. This entry was posted in News on June 29, 2013 by admin. Though not as dramatic as the sale of the Corlay collection (reviewed here), the second part of the last Sotheby’s Paris auction (18/06/13), with only just more than half of the African lots sold (29 / 56), wasn’t a big success either. 27 lots remained unsold (most notably the Sapi head, Senufo couple and Yoruba bowlbearer). Including the premium, 10 objects sold under the estimate (for example the hide Lega mask), 14 within the estimate (for example the golden Baule menage à trois, which had higher expectations) and 5 above the estimate, with special mention to the Crowninshield Baule mask. Estimated at € 120-180K, it sold for € 781K to a telephone bidder in the US. Heavily cleaned and stripped from a fiber beard, it corresponds with a certain modernistic aesthetic which I personally don’t like at all, but which is very popular among many collectors (as proven by its price). The most important work in the sale was a Songye headrest from the Jean H.W. Verschure collection collected F. Vandevelde before 1891. It didn’t fail to impress and quadrupled its estimate (€ 120-180K), selling for € 505K. The anthropomorphic neckrest did not show much use, but with its exceptional early provenance and counterpart in the Louvre was a one time only opportunity not to be missed. The most memorable lot for auction in the sale was the Yoruba bowl from the Samir Borro collection. It was estimated at € 1,2-1,4 million but failed to sell. Bidding started at € 800K, went very slow and stopped at € 880K, after which the lot was passed. This final bid would already have been a record price, but apparently the reserve price was even higher. I would have taken the € 880K – already three times its actual value if you ask me. A personal favourite was this Lower Niger bronze bell. With its 34 cm, this rare bell was very impressive in person. 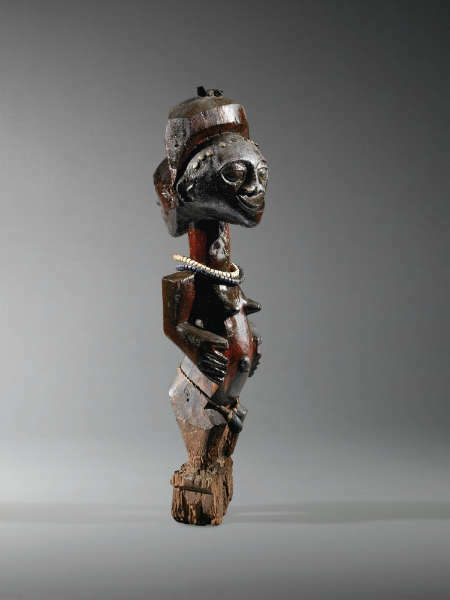 Showing that online bidding is now an integral option, the Luluwa figure was bought by a online viewer for € 32K. Worth a last mention, was a Hemba ancestor figure which was bought by a Belgian dealer for € 121K. If the workmanship of the body had matched the incredible head (in the much loved naturalistic style) this statue could have been sold for more than a million euro. This entry was posted in Auctions and tagged Baule, Hemba, Songye, Yoruba on June 23, 2013 by admin. François Boulanger’s pictures of the ere ibeji exhibition and book presentation during Bruneaf XXIII can be found here on the Sanza blog. This entry was posted in Exhibtions, News on June 21, 2013 by admin. The Sotheby’s Paris auction of the Françoise & Jean Corlay collection (18/06/13) was anything but a success with only 16 of the 50 offered lots selling for a total € 752,700 (premium included). With a mere 32 % of the lots sold this dramatic result left the packed auction room in silence after quiet a noisy sale. Luckily for Sotheby’s, the cover lot, a rare janus Songye figure was sold – though also only just below the lower estimate with a final bid of € 340K (est. € 350-500K). Explanations ? Firstly, from the 16 sold lots only 6 lots sold above the lower estimate (excluding the premium). One could thus conclude that Sotheby’s was a bit too enthusiastic with its pre-sale estimates. What to think of the estimate of € 4-6K for two ordinary Kuba boxes? There are many other examples were the difference with the real market price was too big to generate any interest. Stimulated by previous results and a tendency to overprice, the reserve prices often didn’t let much room for bidding. The ivory Mbuun whistle (Est. € 20-30K) for example only got a single bid (€ 15K). Together with the high estimates, the Kinshasa provenance of many lots didn’t help either. Many collectors have been brainwashed by dealers that it is impossible to find authentic objects in situ. They know better of course; and in their turn were suprised with the huge difference between the Kinshasa prices (once paid by the Corlays) and the current estimates. Lastly, the quality of some pieces left much to be desired. 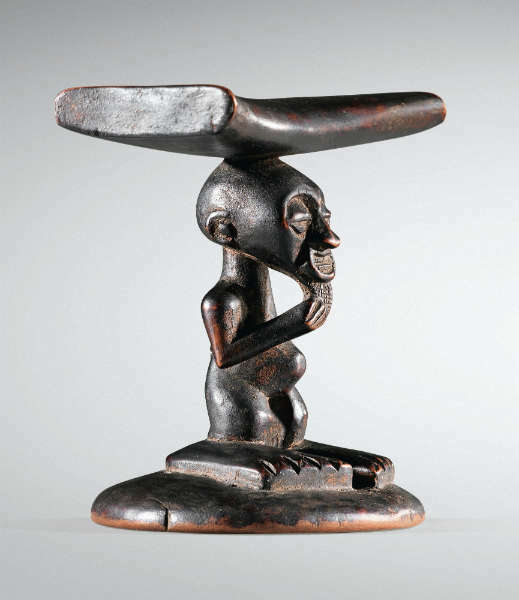 Lot 25, a Yombe figure, was withdrawn from the sale. Probably Sotheby’s was misguided by the fact that it was published in Lehuard’s Art Bakongo. Some objects were colonial (for example the Songye knife) and the estimates of many other lots didn’t correspond with their quality, for example this mediocre Songye figure (Est. € 6-9K) or its big ugly brother (Est. € 300-400K!). So, who’s to blame? I doubt the Corlay family insisted on having such high estimates; though it might have been a bait by Sotheby’s while persuading them to entrust them with their collection. Despite the praising introductory texts of Frank Herreman and François Neyt, the collection was also missing some importance. The majority of the featured objects was never published or exhibited and the Corlay name remained largely unknown. Despite all efforts to present the collection as highly important, they thus failed to generate extra value with this presentation. But, with the big grin of the janus Songye in mind, he who laughs last, laughs best; since the new owner of this fantastic masterpiece did make a bargain. This entry was posted in Auctions and tagged Songye on June 20, 2013 by admin. With dealers the price can only ever come down – but at auction it only goes up. The use of medical equipment introduces some exciting new research opportunities. Marc Ghysels’s Scantix website offers a rare glimpse of the many possibilities opened up by the use of CT scanners to probe art works. This sophisticated, non-invasive method of investigation yields slices and three-dimensional images that reveal unexpected facts and answer a number of questions. 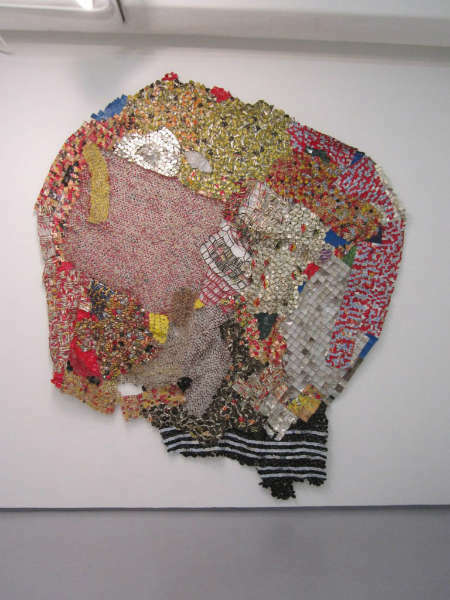 It lays bare earlier repairs and restoration work and shows up extraneous elements concealed within objects made from materials of all kinds. 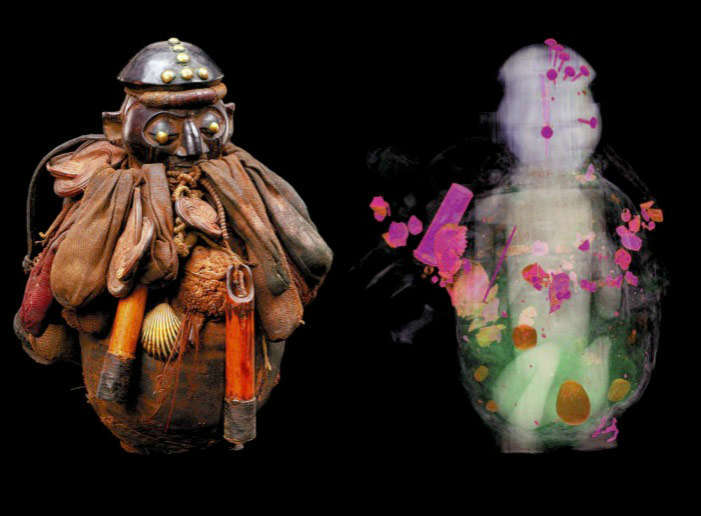 The CT scan of the above Yaka figure for example shows that the head poking out of the bundle is in fact the head of a squatting wooden figure, previously invisble underneath the magical charge. Some other interesting examples: a heavily restored wooden Chokwe figure, an ivory Lega figure and a terracotta Djenne shrine object. Much more case studies can be found on the website. This entry was posted in Research on June 16, 2013 by admin. The Tropenmuseum, Amsterdam’s ethnographic and multicultural museum, is being hit by budget cuts. Over half of the staff will lose their jobs and the research library will simply shut down. 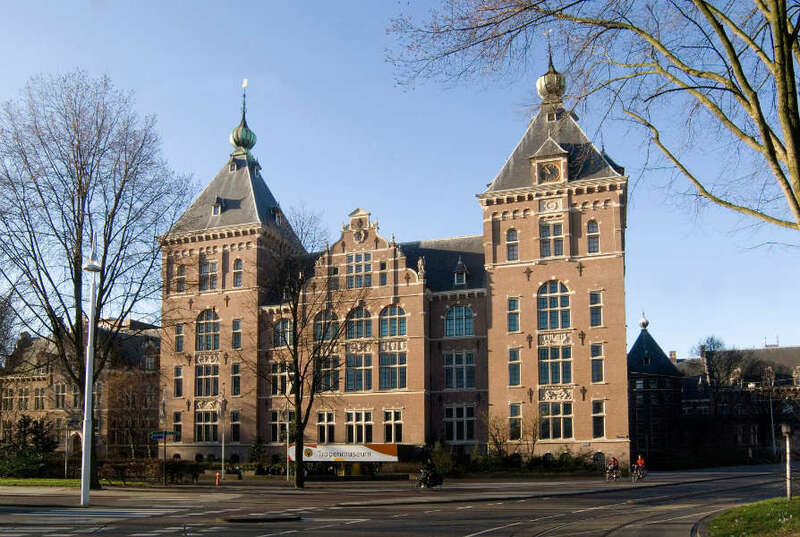 The museum needs 40,000 signatures to put the Tropenmuseum back on the government agenda and save it from closure. For non dutch speakers, on the site: please fill in your first name and last name (Ik = Identity = put your name), city (Wonende te = City = put your city) and your email and send. Then click on the confirmation link in the email you will receive after from the petition site. For additional information see this short TV documentary (in Dutch). 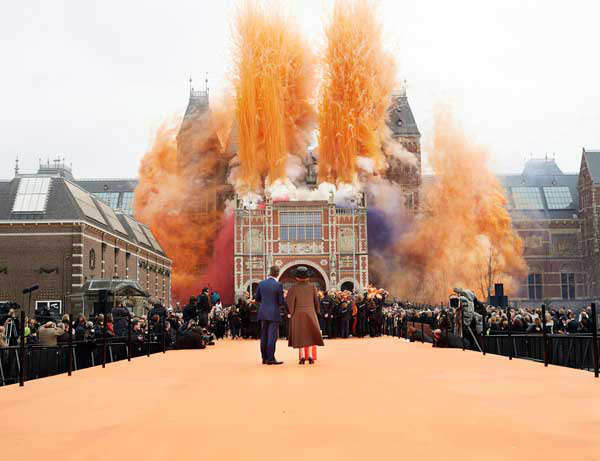 The contrast with the recent re-opening of Amsterdam’s Rijksmuseum couldn’t be bigger. – The Tropenmuseum needs to be independent from the Koninklijk Instituut voor de Tropen (KIT, Royal Institute for the Tropics).